I've never heard of this brand before but I'm so excited to give it a try after discovering its a fairly high-end and luxurious French brand. According to statements I've read online, this purifying face mask is a "soothing, toxin-absorbing, brightening and energizing cocktail of birch sap, white clay, green mate, white willow, zinc, copper, licorice and more that will leave skin feeling fresh, invigorated and absolutely glowing". It sounds like the perfect face mask to get skin ready for the upcoming party season and I'm really impressed with the 40ml size. Considering the full size version of this product is only 10ml more and costs £24.00, its a very generous sample indeed. I'm not a fan of seeing shower wash in beauty boxes as its quite an unglamorous and boring item but I have to say this one smells lovely and fresh and the cute bottle is perfect for travelling. I also love the sleek packaging - very Jo Malone-esque. I love a good multi-purpose product so I'm excited to give this 2-in-1 shadow and liner from Jelly Pong Pong a try. I've never tried any products from this brand before but after swatching this product on the back on my hand, I'm pretty impressed. Its nice and creamy so I imagine there will be no dragging on my lid and the shade is a perfect bronze that can be worn on an everday basis or smoked up for a sultry look in the evening. Who can resist a Models Own nail polish? As soon as I saw there was one up for grabs in this months box, I was super excited. They're definitely one of the best drugstore nail polishes out there in terms of colour range, price and formula and 'Prussian Blue' is such a perefect A/W shade. I can't wait to wear it! 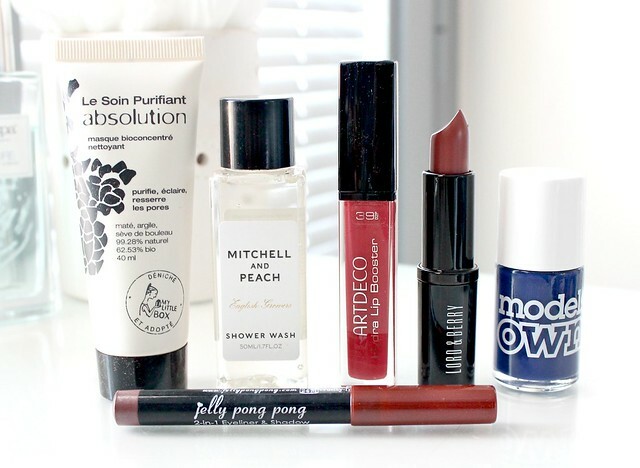 I received a couple of eye products from Art Deco in a past Love Me Beauty box and was really impressed with them so I'm very happy to see a lip product from the brand featured in this months box. The hydra lip booster is described as a "classic lip gloss with a boosting effect" due to the ingredients Marine Fillings Spheres and Blue Seakale und Collageneer that even out wrinkles and support the regeneration and improve the skins elasticity. 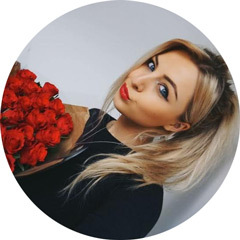 I'm not sure how much I believe these claims but I have tried this product and it is lovely - smooth and comfortable on the lips, very glossy and it provides a subtle hint of colour. Definitely a great product to wear on a daily basis or layered over a lipstick. In my October Love Me Beauty box review, which you can read here, I mentioned that the two Lord & Berry products I received in the box were very dried out, to the point that I couldn't use them. 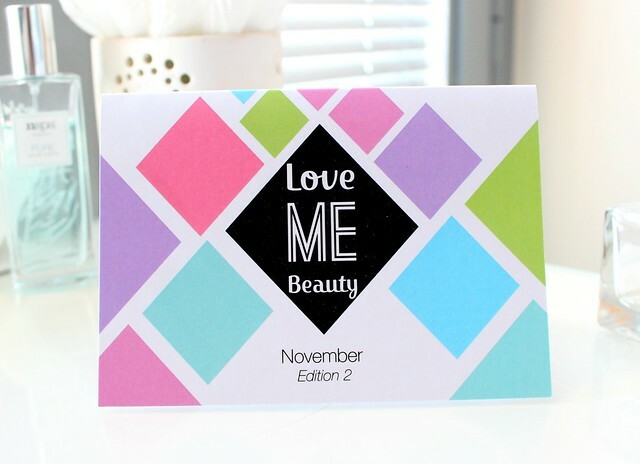 After publishing my review, I received an email from Love Me Beauty with a statement confirming that a lot of people had experienced the same problem and as an apology for this, they informed me there would be an extra product featured in my November box - a Lord & Berry lipstick worth £12.50. I was really pleased to see a brand do this as it shows they really value their customers opinion and want them to be satisfied with the products they receive each month. The lipstick I received was in the shade 'Brick Lip' which is a deep pinky brown shade. Its definitely not everyones cup of tea but I think its a sophisticated neutral shade that will look lovely on those crisp winter days. 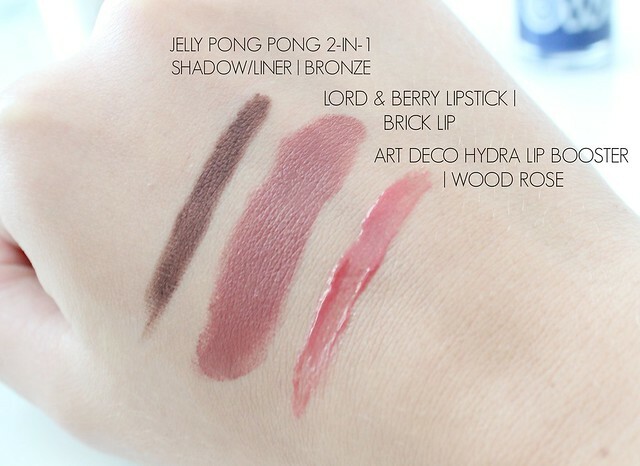 I also love the formula of the Lord & Berry lipsticks - so creamy and moisturising. 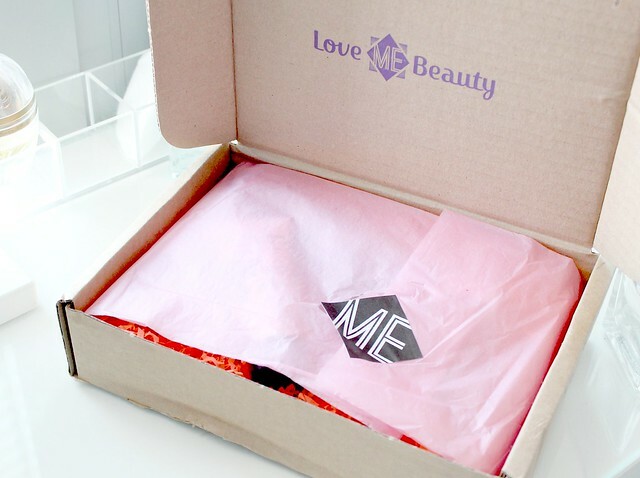 Overall, an absolutely fantastic box for Love Me Beauty this month and I'll 100% use every single product included. I also like to do my maths each month to work out how much I'd have to spend if I bought all of these products individually and this month the contents are worth £65.10 - wow! That just goes to show that Love Me Beauty is exceptional value for money at only £10.00 plus p&p. If you like the idea of having a box of beauty treats delievered to your door every month, I can't recommend it enough! Are you signed up to Love Me Beauty? What do you think of this months contents? 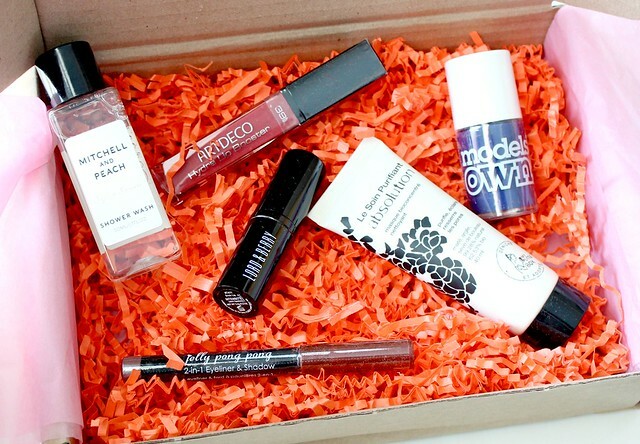 Great box - I'm such a fan of Lord & Berry lipsticks; looks like a really great winter colour! I haven't ordered one before and couldn't decide which beauty box to go for but I think your post has made my mind up! Great box. I ordered my Glamour/Latest in Beauty Collaboration box - can't wait to get it. I dont subscribe to any beauty boxes anymore as I found I was spending almost £25 on products I never used..per month! I just keep the money and buy bits in superdrug to play with instead now. However this box actually looks really good and ltos of full size which always makes them seem better value. Jelly Pong Pong is amazing! hope u drop by at my blog too!